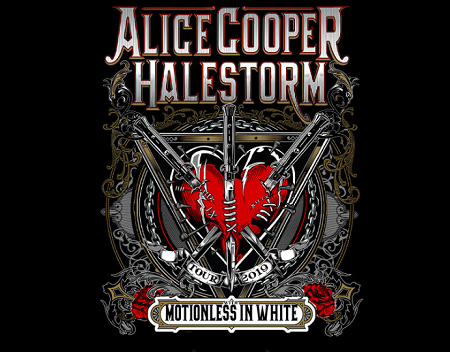 Rock icon Alice Cooper and Grammy-winning hard rock band Halestorm have announced a co-headline amphitheater tour across North America this summer. 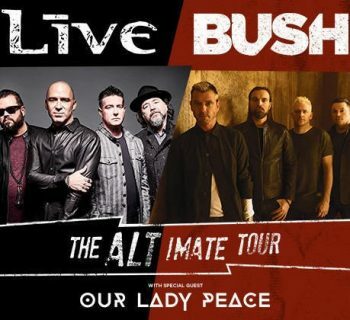 Produced by Live Nation, the 19-city tour will kick off July 17 in Allentown, PA at the PPL Center and make stops in Detroit, Chicago, Houston, and more before wrapping August 16 in Camden, NJ at the BB&T Pavilion. Motionless In White will support on all dates. 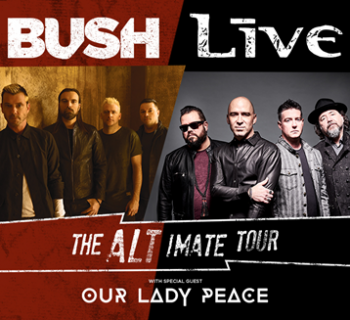 Tickets go on sale to the general public beginning Friday, March 8 at 10 AM local time at LiveNation.com. Citi is the official presale credit card for the tour. As such, Citi cardmembers will have access to purchase presale tickets beginning Wednesday, March 6 at 10 AM local time until Thursday, March 7 at 10 PM local time through Citi's Private Pass program. For complete presale details, visit here. Fan club and VIP presales will be available Tuesday, March 5 at 10 AM local time through Thursday, March 7 at 10 PM local time. Visit here or here for more for more information. "We've played festivals with Halestorm, including Rock In Rio, and now I’m excited about doing this summer tour with Lzzy and the band, can’t wait to get to the first show," said Alice Cooper. "We are beyond excited to announce our new tour with the man who burnt the rule book on Rock 'n' Roll...Alice Cooper," said Lzzy Hale, frontwoman of Halestorm. "Alice is our A in the ABC's of Rock music, and we are honored to be sharing the stage with such a legend and his incredible band. School's definitely out!" Rock 'n' Roll Hall of Famer Cooper will bring an all-new show for the Summer 2019 tour. Dubbed "Ol' Black Eyes Is Back," the show will have a very different look than recent tours. New music from Alice is expected in time for the tour, once again produced by Alice's longtime collaborator Bob Ezrin, who most recently produced 2017's acclaimed Paranormal album, featuring friends like ZZ Top’s Billy Gibbons, U2's Larry Mullen Jr, and Deep Purple's Roger Glover, as well as original Alice Cooper band members Neal Smith, Dennis Dunaway and Michael Bruce. Cooper's most recent release, the live album A Paranormal Evening At The Olympia Paris, was released by earMUSIC in 2018. 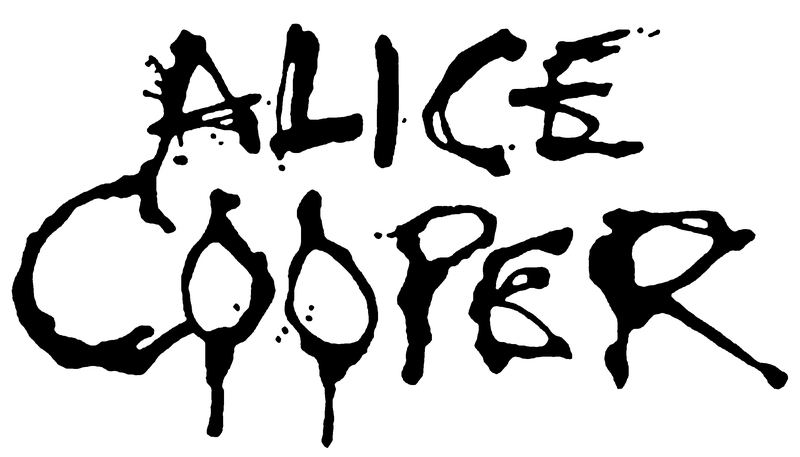 In addition to recording and touring both on his own and with The Hollywood Vampires (with pals Joe Perry and Johnny Depp), Alice continues his nightly syndicated radio show "Nights With Alice Cooper," heard worldwide on over 100 radio stations. Grammy-Award winning band Halestorm released their fourth full-length album, Vicious, last year. Called a "muscular, adventurous, and especially relevant rock record" by Rolling Stone, Vicious earned the band their second Grammy nomination, for Best Hard Rock Performance for the song "Uncomfortable," the band's fourth #1 at rock radio. 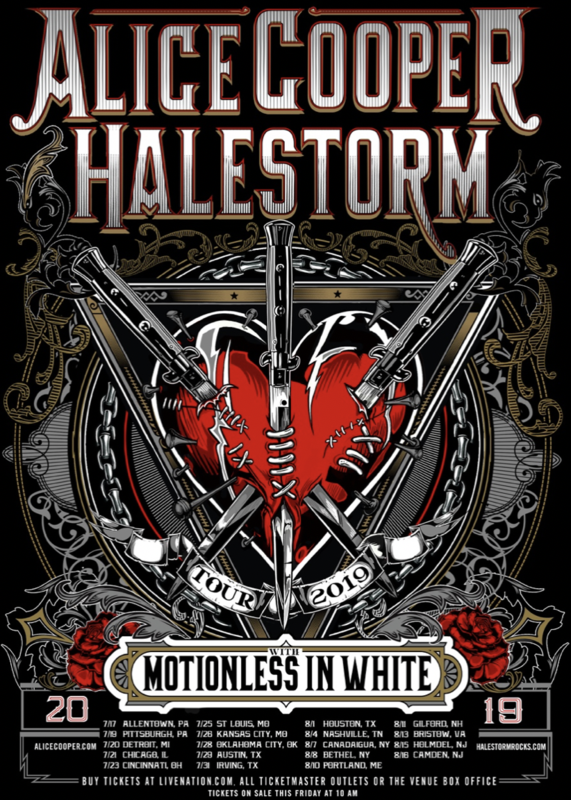 Fronted by the incomparable Lzzy Hale, named Loudwire's 2018 Rock Artist of the Year, Halestorm has earned a reputation as a powerful live music force, headlining sold-out shows and topping festival bills around the world. Since 2006, Motionless In White has won over audiences around the globe with their aggressive music and arresting imagery, rapidly rising to the upper echelon of modern rock. 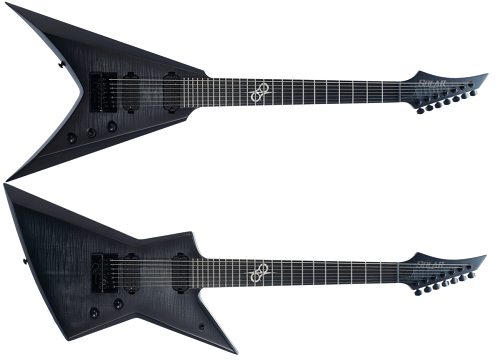 Albums such as 2010's Creature sand 2012's Infamous would galvanize a rabid fan base around the band — currently comprised of lead singer Chris Motionless, guitarists Ryan Sitkowski and Ricky Horror, and drummer Vinny Mauro. Motionless In White's 2014 LP, Reincarnate, reached new heights, bowing at #9 on the Billboard "Top 200" and claiming #1 on Billboard's "Hard Rock Albums" chart. GRAVEYARD SHIFT, the band's latest album, arrived in 2017 to critical acclaim, once again topping Billboard’s "Hard Rock Albums” chart led by the Top 20 Active Rock hit "LOUD (F*ck It)," as well as the thunderous singles "Eternally Yours” and "Necessary Evil." "Motionless In White make sure to leave no gravestone unturned as they explore the vast underworld of rock," declared Alternative Press, while Rock Sound avowed, "Every cut brings something new to the table… tugging at the heartstrings one moment and cutting straight to the bone the next."